TNC is the largest and most prestigious European Research and Education networking conference. Every year TNC brings together over 700 of the leading thought leaders and decision-makers from NREN organisations, research institutions, technology industries, government representatives, and some of the world’s premier networking and IT engineers. TNC provides you with a forum to present your products and services to a community of early adopters. Get exposure in the European and global R&E networking community. Present your technical solutions to the experts in the field. Learn about the latest technology and service developments relevant to research and education. Join some of the world’s leading research networking executives, driving innovation and sparking creativity. Expand your business opportunities and meet leading thinkers in the global research networking community. Sponsoring TNC is only the beginning of a year-long relationship with the R&E networking community. With educational webinars, advertorial opportunities and the ability to take part and contribute to focused Task Forces and Special Interest Groups, being part of TNC can bring you closer to the R&E networking community. 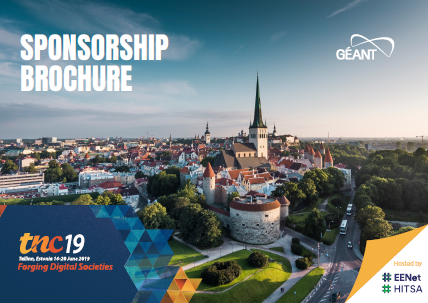 For information on TNC19 sponsorship packages, download this year’s sponsorship brochure. To find out more about sponsorship opportunities at TNC contact us at tnc-sponsorship@lists.geant.org.